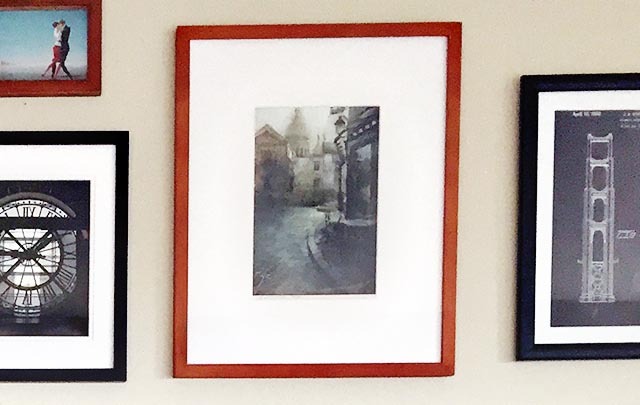 The Short and the Sweet of It: What's on Your Walls? I'm in the midst of curating a gallery wall. It is likely one of the hardest home decor projects I've taken on (not that I've taken on too many, but this is surprisingly challenging). Art is one of those things that is very personal. What one person thinks is a masterpiece, another person thinks it's a pre-schooler's sketch (which to be fair, may also in fact be a masterpiece). The point is this: you really do want to love what's displayed on your wall, and perhaps even want to feel a deeper, more meaningful connection to it. Matt and I have traveled to many places and have photos and artwork that we've collected and brought home and that's been fun going through and deciding what we want to display, but for the blank spaces that remain, it's a bit more of a challenge. I've rounded up a few of my favorites lately. 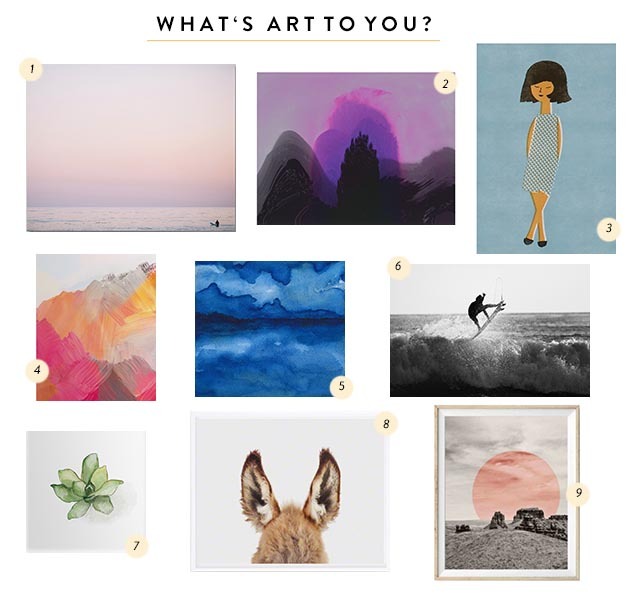 Art spots that I love to peruse are: the Tappan Collective, Minted and of course Etsy. What about you? What type of art strikes your fancy? Here is a glimpse into part of our wall (I apologize for the photo quality). This wall is amazing. Number 1,6 and 7 are my favorite. Etsy all the way. Love how your gallery is coming together.